There's a bull market for ... beer! It's beer o'clock on Wall Street. Budweiser owner Anheuser-Busch InBev and Molson Coors both hit new all-time highs earlier this week. The reason? Investors are betting that AB InBev's (BUD) megadeal to buy rival brewer SABMiller (SBMRF) now has a better chance of getting approved by regulators. Here's the latest -- and why it matters for rival Molson Coors (TAP). The marriage of the King of Beers and the owner of Pilsner Urquell is dependent on the two companies selling off several brands to satisfy antitrust regulators around the globe. Those deals are starting to fall into place. Japanese brewer Asahi announced on Tuesday that AB InBev had agreed to Asahi's offer to buy SABMiller's Peroni, Grolsch and Meantime beer brands. Last month, China Resources Beer Company agreed to buy the remainder of CR Snow, a joint venture with SABMiller that makes Snow -- which is the world's most popular beer. And why is that good news for Molson Coors? Because it plans to purchase the 58% stake it doesn't already own in MillerCoors, which is a joint venture in the U.S. between SABMiller and Molson Coors. This deal will give Molson Coors global control of the Miller brands. And it's contingent on the AB InBev-SAB Miller merger getting a regulatory green light. So if AB InBev isn't going to wind up with the Miller part of SABMiller, what exactly is it buying? A lot of brands that are doing extremely well in emerging markets like Africa and Latin America. The combined company could become an even larger player in the burgeoning microbrewery market as well. Even though SABMiller is getting rid of U.K.-based craft brewer Meantime, the combined AB-SAB will continue to be a major player in the craft world. AB InBev already owns leading craft brewer Goose Island. It bought Blue Point in 2014 and went on a beer binge last year, scooping up five microbrews -- including three in December alone. And earlier this month announced plans to acquire another craft brewer, Devil's Backbone. 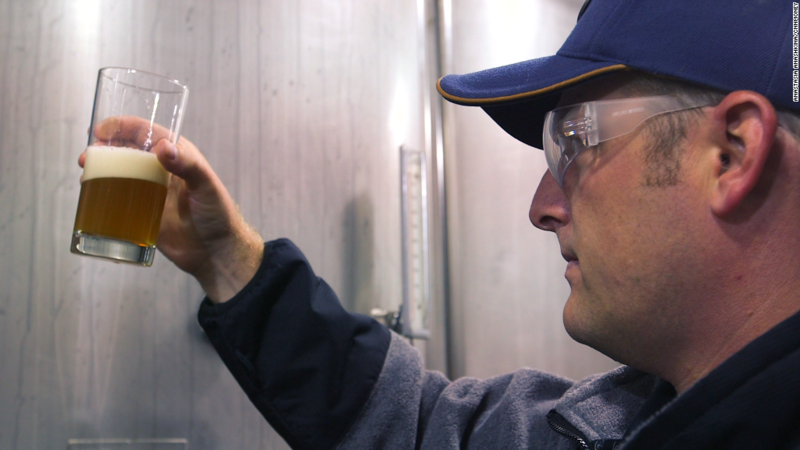 AB InBev's growing clout in the microbrew world is making it tougher for rivals though. Boston Beer (SAM), the parent of Sam Adams, reported disappointing results after the closing bell Thursday. The stock plunged nearly 10% Friday. The company said it lost market share due to increased competition in the craft beer market. This is something that regulators around the world are likely to cite when they conduct their antitrust reviews of the AB InBev-SAB MIller deal. It's possible that AB InBev and SABMiller could be asked to sell even more brands in order to win approval. So investors hoping for the deal to close soon may have to hold off for a bit on opening a celebratory cold one.